From Dodo Towers to ‘Beckingham’ Palace! Helloo dear Dodopadlers! Miss Peabody here! After seeing the news that Victoria Beckham will be bringing another very well dressed little person into the world in the summer (I wonder if it will be a little girl this time?) I have been thinking about how heavily the Queen of the ‘Yummy Mummies” must rely on her Dodo Pad! In fact, she will soon need to create another column (much like our recent Dodopadler of the Day Laurie does) to fit in the new arrival’s comings and goings too! 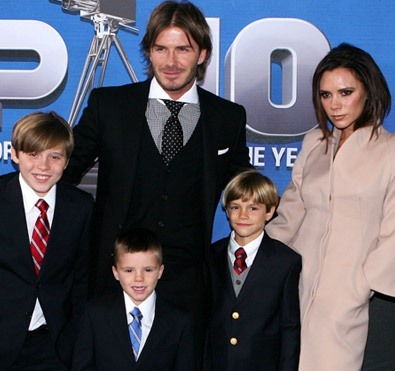 What a busy year 2011 is going to be in the Beckham’s household! Although the engagements in Victoria’s Dodo Pad may be more along the lines of ‘lunch with Elton’ and ‘cocktails with Oprah’ – she is at the end of the day, just another very busy mummy with a lot of different balls to keep up in the air at any one time and I’m so glad that the Dodo Pad is there to support her in staying on top of all of the daily to-ings and fro-ings at Beckingham Palace! It gives me wonderfully warm feelings when I think of the way that Lord Dodo helps all those busy mothers (A List or otherwise) who would otherwise be lost in the chaos of parenthood instead of enjoying it… without a hope of ever being on time for a doctor’s appointment or school parents’ evening or even of scheduling in some time for herself every now and then! Judging from the letters (and emails) of adoration and praise that he regularly receives, it’s clear that many of you feel the same way! Please do keep on sending them in by the way, it’s so dodelightful to see his Lordship’s face light up when he learns of the many ways he is making the world a more harmonious (and organised!) place. Anyhow, I must go and attend to the day’s orders. Toodle-oo for now!